When you’re building a gaming computer, one of the most important hardware decisions you’ll make is what kind of RAM to get. Without the proper RAM, the rest of your hardware components, such as the graphics card or the CPU, won’t perform at their maximum capacity. In a worst case scenario, getting too little RAM will even have an adverse effect on the Windows operating system itself. Like all PC components, there are hundreds of different RAM sticks to choose from, with each one offering different specs. Luckily for you, we’re here to help show you what you should look for when buying RAM, but first, here’s ten of the best RAM products you can get today. On the list below, you’ll find only the best RAM for both your gaming PC and your wallet. We guarantee that at least one of the RAM sticks below is going to be a perfect fit for your gaming PC! 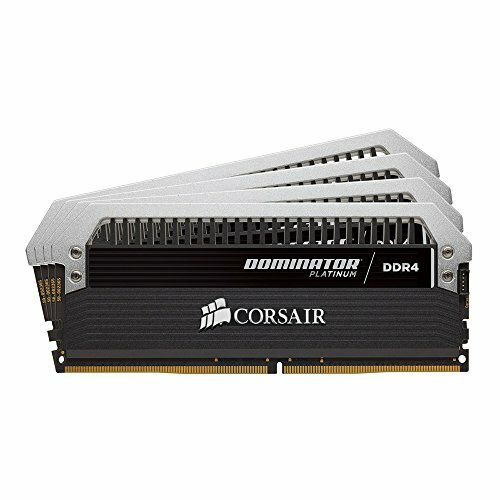 If you’re serious about gaming, then the Corsair Vengeance 32GB (4x8GB) DDR4 3000 is one of the best RAM purchases you can make. 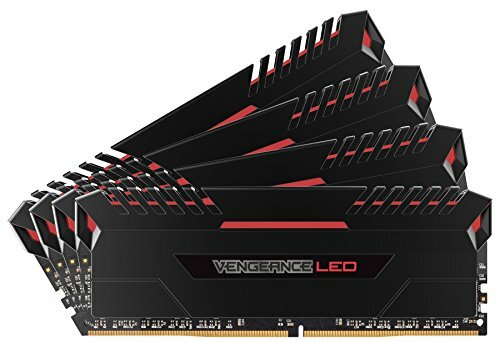 The Corsair Vengeance 32GB (4x8GB) DDR4 3000 comes with four sticks of DDR4 RAM that will give you the best graphics in any game you throw at it. The proprietary heat dissipation will allow you to overclock this RAM to achieve an even faster speed. 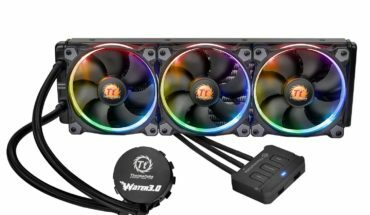 Preconfigured XMP 2.0 profiles come as standard with the Corsair Vengeance RAM , which automatically select the best and most reliable settings for overclocking. 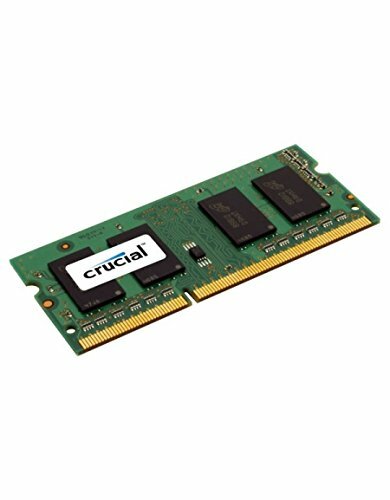 The Crucial 8GB Single DDR3L 1600 MT/s (PC3L-12800) SODIMM 204-Pin Laptop Memory is ideal for a gamer on a budget. While the PC3L-12800 SODIMM 204-Pin Laptop Memory isn’t the best choice for newer games, it will have no problem playing any game from 2015 or earlier, and most games from 2016 and 2017. As it’s only one stick of RAM, that leaves plenty of room to add more to take your memory to 16GB or beyond. As it’s relatively cheap, it won’t break the bank to do this either. That way you really will have great performance for the latest games. The Memory is easy to install, taking even a novice under five minutes to insert into their PC. 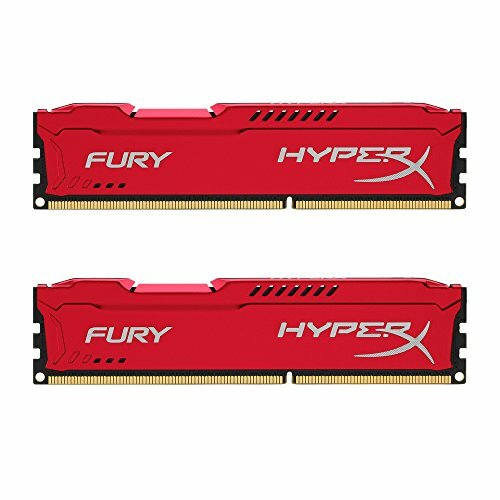 Likewise, the Kingston HyperX FURY 8GB Kit (2x4GB) 1866MHz DDR3 is also ideal RAM for the gamer on a budget. The Kingston HyperX FURY is easy to overclock, which allows PC builders to achieve a faster-than-normal speed out of each stick of RAM. With a lifetime warranty on each stick, even if something goes wrong with the RAM, Kingston will ensure you get a replacement. This 8GB set comprises of 2 x 4GB RAM sticks, so make sure you have two free bays. If budget is more important than additional room to expand, then this may be RAM for gaming choice for you. 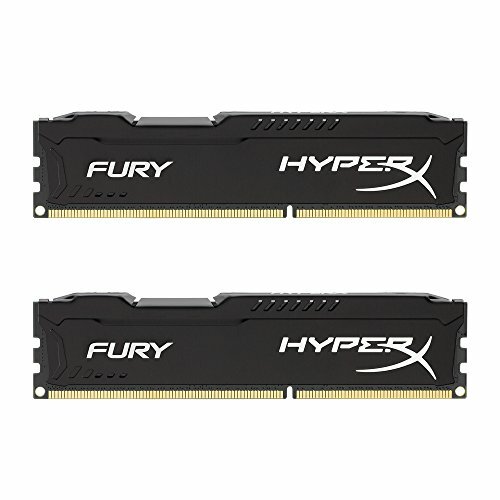 If you want more of a boost in your processing power, then you’ll want to check out the Kingston HyperX FURY 16GB Kit (2x8GB) 1866MHz DDR3. This Kingston product will ensure you have the power you need to play all of the hottest PC games, including “Overwatch,” “Battlefield 1” and “The Witcher 3.” The Kingston HyperX FURY 16GB Kit (2x8GB) 1866MHz DDR3 is also compatible with a wide array of motherboards. 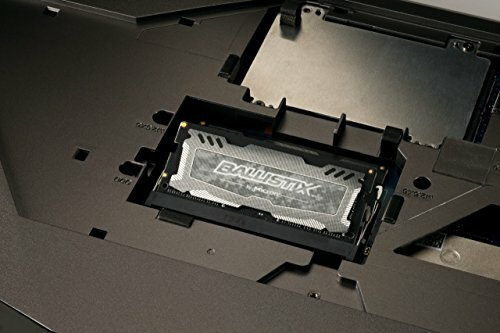 The Ballistix Sport LT 32GB Kit (16GBx2) DDR4 2400 MT/s is for serious gamers as it provides more than enough power to run even the most resource intensive PC game on maximum settings. The four channel memory architecture ensures that you get only the fastest data rates, which means that both your operating system and your PC games will hit speeds you never thought possible. This is real performance RAM for those that really want to take their gaming to the next level. The responsiveness and speed is simply outstanding. 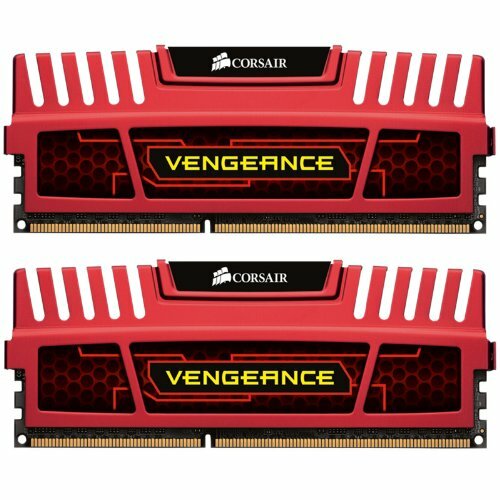 Love the speed and power of the Corsair Vengeance DDR4 3000 but your PC doesn’t support DDR4 RAM? Then you’ll want to take a look at the Corsair Vengeance Pro 32GB 4 x 8GB DDR3 2400MHz C11 Memory Kit. This offers roughly the same benefits of Corsair’s DDR4 RAM product at a lower speed and is compatible with an array of older motherboards. The Corsair Vengeance 16GB (2x8GB) DDR4 3000 is custom built with overclocking in mind. Corsair outfitted this RAM with a custom case that provides superior heat dissipation, meaning that you can overclock this RAM without worrying about frying it. 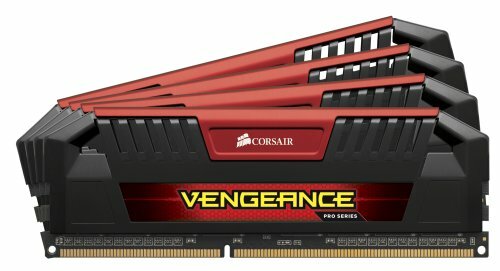 Corsair also claims that the Vengeance 16GB (2x8GB) DDR4 3000 offers lower power consumption than other DDR4 RAM sticks along with greater bandwidth. The best part about the Corsair Vengeance is that the LED lights will illuminate your PC case and give it a look that makes it stand out. If you’re a gamer on a budget but still want the benefits of DDR4 RAM, then look no further than the Ballistix Sport LT 8GB Kit (4GBx2) DDR4 2400. While you only get 8GB of RAM with the Ballistix Sport LT 8GB Kit, the higher speeds of the DDR4 architecture makes this product comparable to at least 16GB of DDR3 RAM. This Desktop Memory is some of the best DDR3 RAM available on the market today. The Corsair Vengeance Red 16GB (2x8GB) DDR3 1600 MHz (PC3 12800) Desktop Memory is easy to install inside of your PC. Once installed, Windows will detect the Corsair PC3 12800 Memory automatically, so after you install the RAM, you’re ready to game. If money is not a concern, then you’ll want the Corsair DOMINATOR Platinum Series 32GB (4 x 8GB) DDR4 DRAM 2400MHz C14 Memory Kit. This product is some of the best RAM available on the market, offering speeds that few other companies can reach. The DHX cooling on the Dominator Platinum Series ensures that even if you overclock this RAM, it will stay at extremely low temperatures. With a customizable light bar, the Corsair DOMINATOR Platinum Series C14 Memory Kit looks as fantastic as it performs. When it comes to RAM, the more you have, the better. 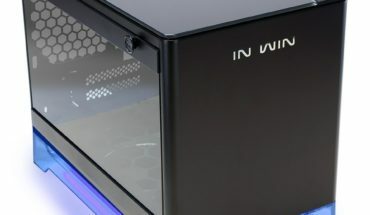 If you’re planning on using Windows 10, you’ll need at least 2GB of RAM to use the operating system; however, experts recommend that you purchase at least double that amount to ensure everything runs smoothly. However, 4GB of RAM is only going to be enough for the operating system and falls well under what you need to run most modern games. If you’re building a computer for gaming, the minimum amount of RAM you need to run most modern games at medium graphical settings is 8GB. For large-scale multiplayer games like “Battlefield 1,” we recommend going with 16GB to 32GB of RAM. 16GB of RAM is more than enough for any PC game coming out in 2017 while 32GB will ensure your PC can run any game releasing in the next few years. One of the biggest decisions a gamer has to make after choosing how much RAM they want is determining what type they want. If possible, we recommend purchasing DDR4 RAM, which is the newest type of RAM available on the market. In a head-to-head test, DDR4 outperformed DDR3 RAM in every way possible; not only was DDR4 RAM faster, but it also consumed less power than DDR3 RAM. In the future, many CPUs are going to require DDR4 RAM to work properly, so purchasing DDR4 RAM now will ensure your PC is compatible with any future hardware you may want to buy. These days, there is only a small difference in price between DDR3 and DDR4 RAM, so if you’re able to spend the money, our recommendation is to get DDR4 RAM. 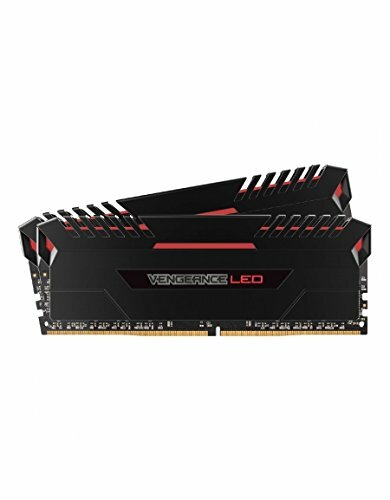 How Do I Make Sure My RAM Works With My Motherboard? However, our recommendation to purchase DDR4 RAM is contingent on you being able to use it with your motherboard. If you have an older motherboard, the chances are good that it isn’t compatible with DDR4 RAM. As a general rule of thumb, motherboards made before 2014 do not typically work with DDR4 RAM, while motherboards older than 2007 do not function with either DDR3 or DDR4 RAM. If you’re unsure about whether your motherboard can use DDR4 RAM, many RAM manufacturers like Crucial offer free downloads which will test your motherboard to ensure that it’s compatible. In general, the manufacturer of your RAM isn’t something you should concern yourself with, as all manufacturers use similar parts and designs when constructing RAM. However, just to be safe, we recommend only purchasing RAM from the proven industry leaders, such as Crucial, Kingston or Ballistix. These companies have been putting out RAM sticks for decades and know how to build a great stick of RAM.